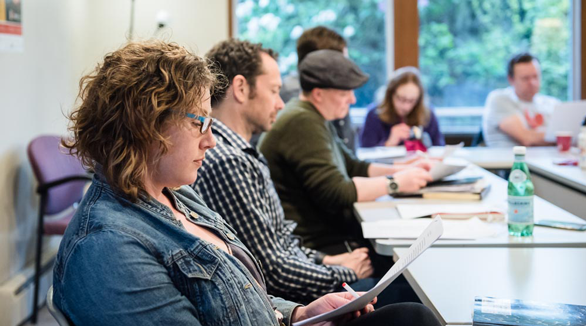 The Short Version: For the past two decades, Seattle’s Hugo House has been an attractive destination for anyone who cherishes words. Whether you write them, read them, or love to hear them, Hugo House has an event that’s right for you. Founded by a trio of writers, Hugo House provides a central location for literary-minded people to connect in the city. Writers of all backgrounds and stages in their journey are encouraged to participate in workshops and classes led by experienced authors. As it enters its third decade of service to writers in Washington state, Hugo House has secured a larger, permanent facility, allowing the house to provide more education and support to visitors and members. Seattle’s literary scene has been one of its defining features for decades. The city is well-known for its unique bookstores and talented writers, but it had no central location for literary-minded people to congregate to learn how to craft better stories or share them publicly — until 1998. Three writers — Linda Breneman, Andrea Lewis, and Frances McCue — wanted to create a special place within the hustle and bustle of Seattle. So they started Hugo House, which opened its doors 20 years ago. They designed the house, named after nationally acclaimed poet Richard Hugo, to serve writers of all ages, stages, and ability through workshops, public readings, and residency programs. Seattle’s Hugo House has been a cherished destination for writers and readers since 1998. “They had a passion for writing and wanted a place where writers could come together in a supportive, non-competitive, and encouraging space,” said Molly Woolbright, Marketing and Communications Director at Hugo House. Two decades later, it’s safe to say that vision has come to fruition. Not only is the house moving to a larger, permanent location in 2018, but Hugo House also has a full schedule of events open to writers of all ages and experience levels. In addition, it’s a fascinating place to take a date for an evening of enlightenment. Many Hugo House events are free of charge to encourage participation, but the house also has workshops, classes, and events to raise the revenue it needs to continue helping writers. “About 85% of our events are free, and something is happening nearly every night of the week,” Molly said. Hugo House serves a diverse group of visitors who are all connected through their passion for the written word. “Class sizes typically range from five to 15 people and might include MFA grads who are looking for the type of support they had in their degree program,” Molly said. “Other classes appeal to retirees who have yet to put words on paper, but have the drive to write, and the dream of crafting a novel or memoir.” A variety of classes are offered year-round, and the house updates its schedule quarterly. Classes focus on specific topics and are suited to writers of all different levels. Beginners can attend a story starter session, where they’ll receive practical advice on beginning a writing project. Advanced writers can participate in a revision class, in which each participant’s work is examined and revised with the goal of preparing it for publication. Hugo House offers classes for writers of all experience levels — from middle schoolers to retirees. “All of our staff are readers and writers, and we have over 200 published authors who work as teaching artists and run the classes,” said Molly. Students as young as 13 years old can attend writing workshops, intensive summer camps, and even read their work at Stage Fright — an open mic event for young writers. Youth classes are taught by published authors who have experience in helping writers develop their skills. “One of our most popular events is Works In Progress, an open mic night held twice a month that is open to anyone who wants to share their work,” Molly said. Those who wish to share their work can place their name in a jar and take the stage when their name is drawn — time permitting. It’s a judgment-free zone where everyone receives applause. Another recurring event, the Hugo Literary Series, is a themed night of writing and song competition by selected writers who share new, original work without the safety net of editors, publishers, or reviewers. Word Works events look at the process and craft of writing, and delve deeper into selections from all genres. Since many of the events are social gatherings, attending a reading or open mic performance can make for an intellectually stimulating date night if you have a partner who loves literature. On the other hand, if you’re single, Hugo House is a great place to meet others who share your passion for wordplay. Open mic night includes time for a trip to the bar, and takes breaks between performance sets to encourage casual conversation. Hugo House has educated, entertained, and inspired countless writers since its doors opened in 1998. With its new facility, Hugo House looks forward to helping even more literary-minded people connect and grow. The move will return Hugo House to its original location in the vibrant arts district on Capitol Hill in Seattle. While the site is the same, the building is markedly different. The new Hugo House location will contain even more space for writers to connect with each other. 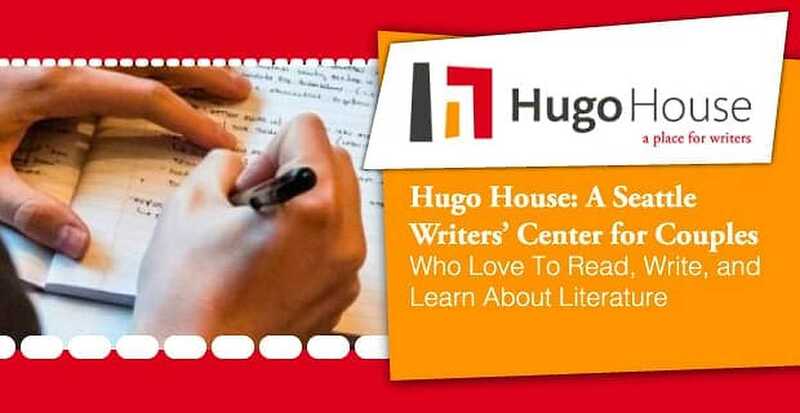 With the same vision that’s driven it from humble beginnings in an old Victorian house, paired with the new, expanded facility, Hugo House is sure to impact writers of all ages and stages for years to come.